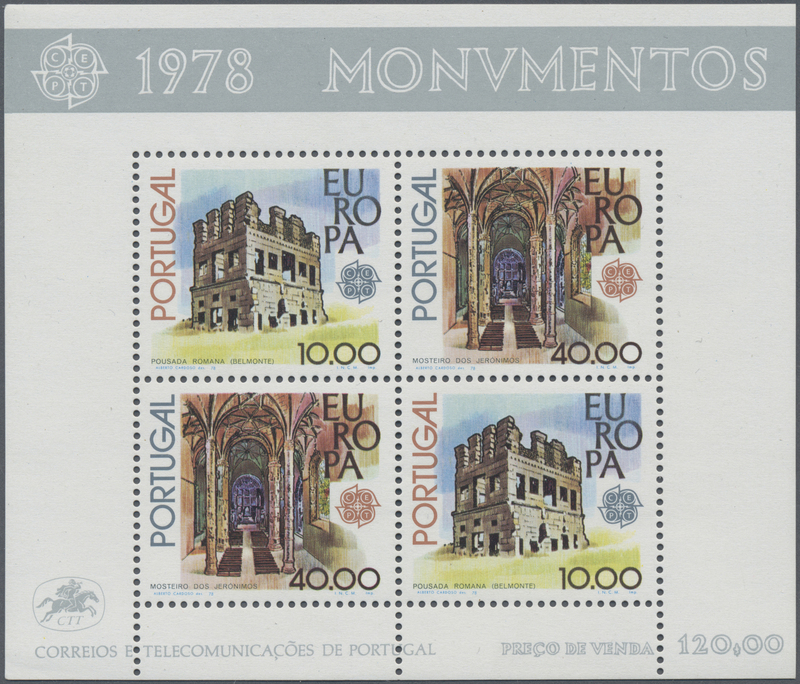 36356 postfrisch (never hinged) ** 1311/1312 (1000) 1976, Europa, much more than 1000 sets of this issues mint never hinged. Michel at least 70000,- €. 36357 postfrisch (never hinged) ** 1311/1312 (500) 1976, Europa, much more than 500 sets of this issues mint never hinged. Michel at least 35000,- €. 36358 postfrisch (never hinged) ** 1311/1312 (150) 1976, Europa, 150 sets of this issues mint never hinged. Michel 10500,- €. 36365 postfrisch (never hinged) ** 1977/1979, stock of souvenir sheets and sheetlets (National Holiday 1979), mint never hinged, in total ca. 3000 blocks. Huge catalogue value. 36366 postfrisch (never hinged) ** 1977/1985, stock of souvenir sheets and sheetlets (of the "azujelo" issues), mint never hinged, in total at least 1000 sheets. Huge catalogue value. Also covers many topics like art, animals etc. 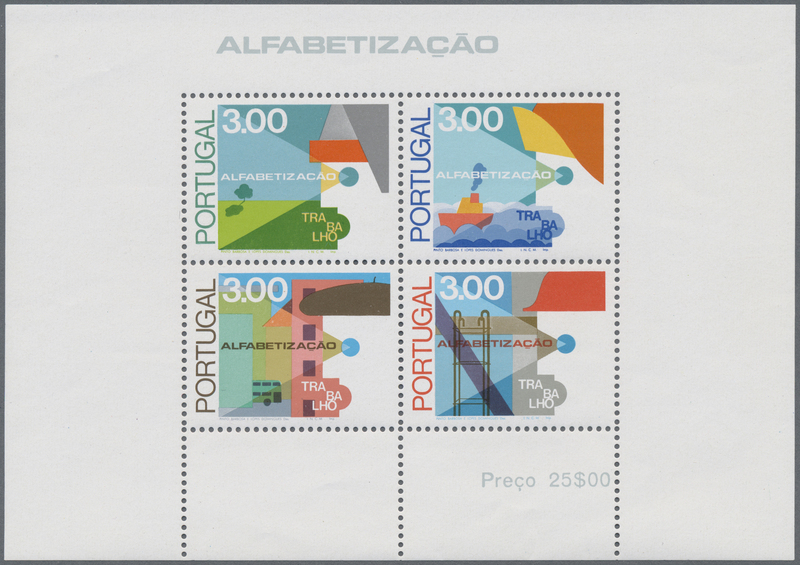 36372 postfrisch (never hinged) ** 1441/1442 (2000) 1979, Europa, more than 2000 sets of this issue in parts of sheets or in block 27 (some blocks with bends), not checked for normal and phosphorescent paper. Mint never hinged. Michel at least 10000,- €. 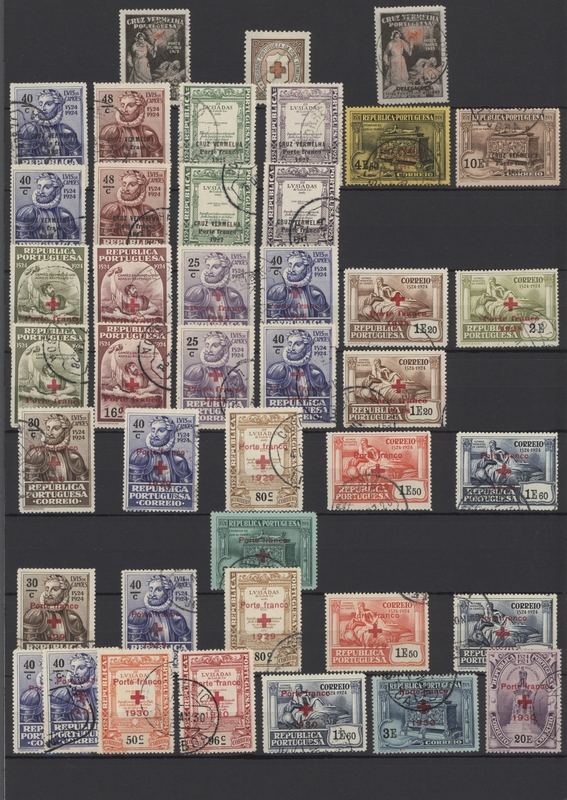 36373 postfrisch (never hinged) ** 1979/1991, stock of the Europa issues, complete sets mint never hinged: 1979 - 600, 1980 - 1000, 1981 - 1800, 1982 - 800, 1983 - 800, 1985 - 1700, 1986 - 900, 1987 - 900, 1988 - 1100, 1989 - 1600, 1990 - 400, 1991 - 700. Michel 41.050,- €. 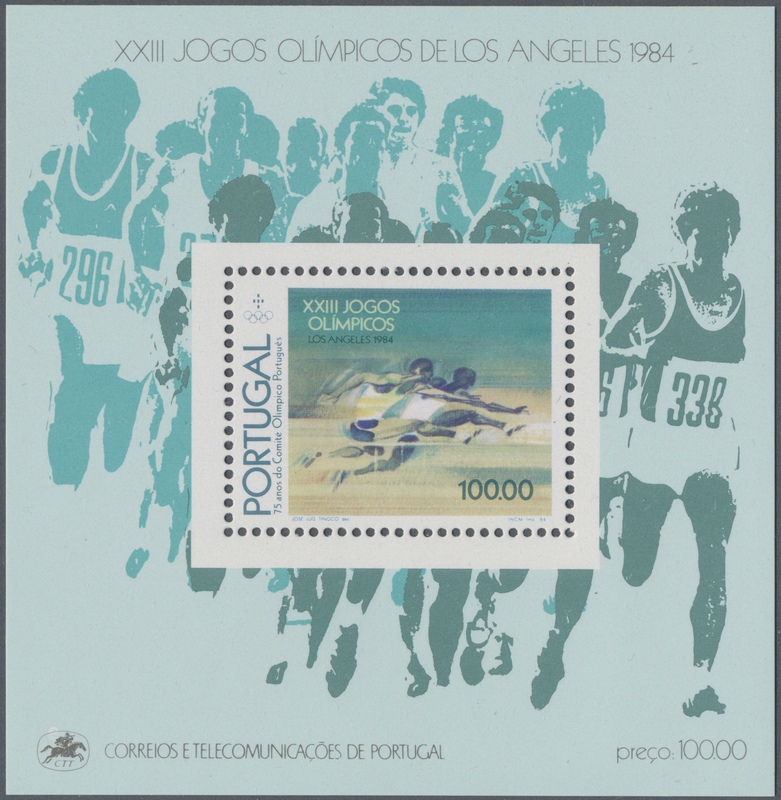 36374 postfrisch (never hinged) ** 1980/1985 (ca. 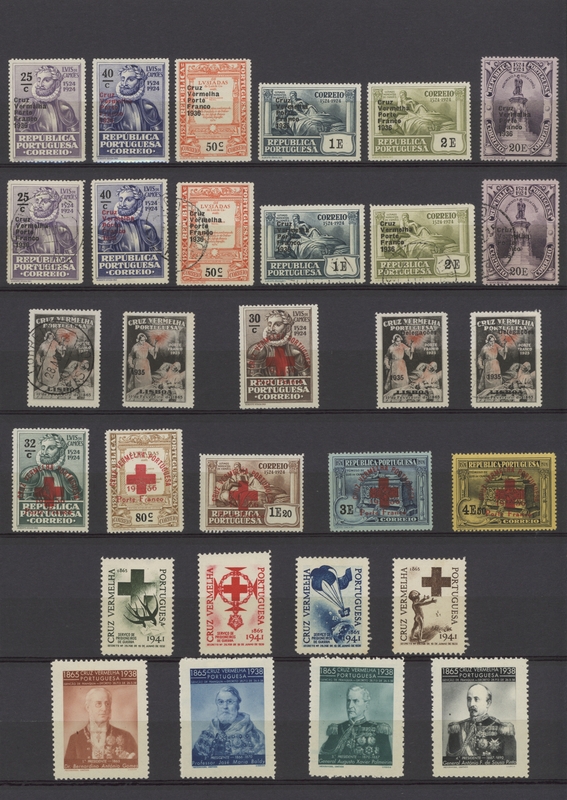 ), duplicates from ACORES and MADEIRA in hundreds of glassines with mostly complete sets incl. nice thematic issues as flowers, insects with butterflies and beetles, fishes etc., mint never hinged with a high cat. value! 36375 postfrisch (never hinged) ** 1980/1985, stock of souvenir sheets and sheetlets (of the "azujelo" issues), mint never hinged, in total ca. 2000 sheets. Huge catalogue value. Also contains Madeira and Acores. 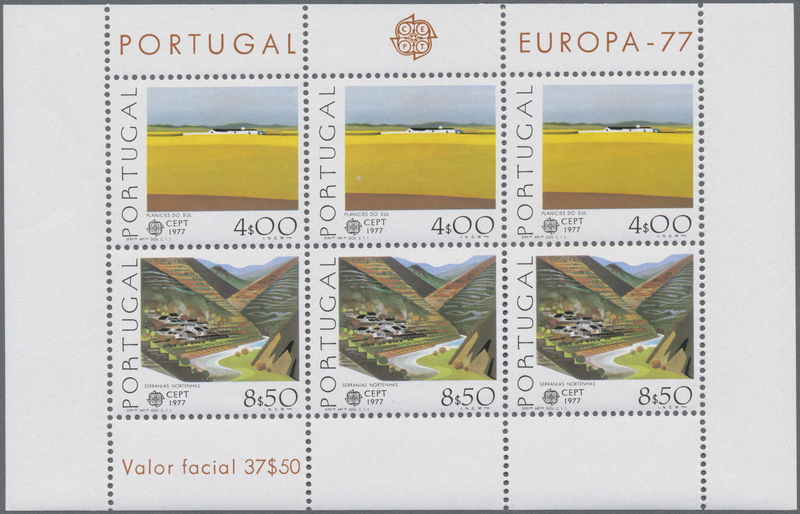 36376 postfrisch (never hinged) ** 1984/2000, gigantic stock of the Europa issues covering Portugal, Azores as well as Madeira, pre-sorted on circa 1000 stockcards and in glasines, all mint never hinged. Also some blocks of the 1980s and at least 1000 blocks of the 1990s and 2000 issues. 36382 gestempelt (marked) ungebraucht (hinged) * 1868/1880, small lot of thirteen mostly used early issues in mixed quality, f.e. Michel / Mundifil no. 4 and 24 used. High catalogue value. 36383 ungebraucht (hinged) * ungebraucht ohne Gummi (unused without gum) (*) gestempelt (marked) 1868/1894, lot with ca.70 stamps, comprising LUIS I. reprints with small and large overprints, Henry the Navigator issue and some early stamps from Madeira, mostly F/VF condition. 36384 ungebraucht (hinged) * gestempelt (marked) 1871 - 1890, 24 values unused and used, various condition, partly thin spots. 36385 postfrisch (never hinged) ** 1980/1983, stock of MNH issues of this years (ex Mi.no. 334/357) from a couple copies to hundreds sorted in glasines, in the highest quantities Mi.no. 336/341, 343/344 and 349/352. Huge cat. value. 36386 postfrisch (never hinged) ** 1980/1985, stock of the souvenir sheets in various quantities mint never hinged, in total at least 1000 blocks. Huge cat. value. 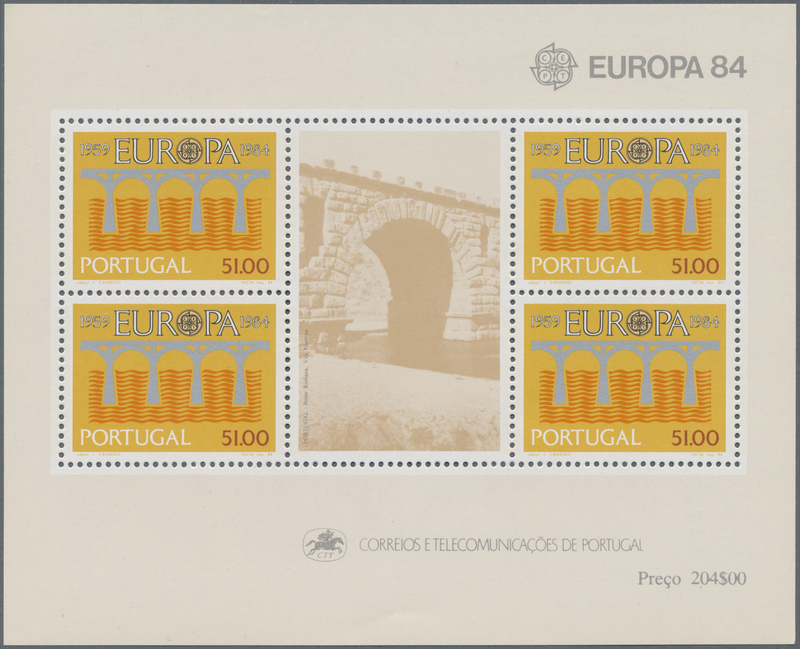 36388 postfrisch (never hinged) ** Acores/Madeira: 1981/1991, stock of the Europa issues of both countries, complete sets mint never hinged : 1981 - 6200, 1982 - 5700, 1983 - 5500, 1984 - 3300, 1985 - 2800, 1986 - 3600, 1987 - 2700, 1988 - 2800, 1989 - 4000, 1990 - 700, 1991 - 1800. In total ca. 45.000 stamps. Michel Acores 110.750,- €. Michel Madeira 116.650,- €. Michel in total 227.400,- €. 36389 postfrisch (never hinged) ** 456A (12000) 1996, Europa, 12000 copies of this issue in sheets of 50 stamps each. Michel 30000,- €. 36390 postfrisch (never hinged) ** 456A (12000) 1996, Europa, 12000 copies of this issue in sheets of 50 stamps each. Michel 30000,- €. 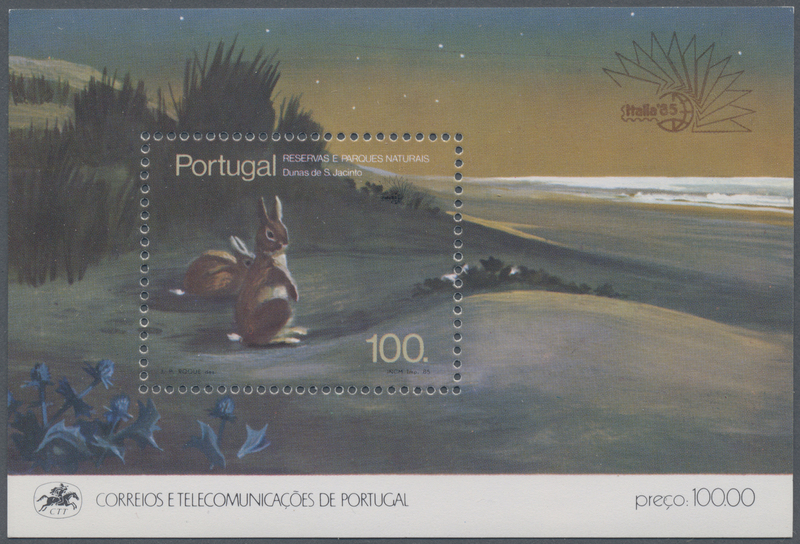 36391 postfrisch (never hinged) ** 466 (20000) 1997, Europa, 20000 copies of this issue, all mint never hinged. Michel 50000,- €. 36393 postfrisch (never hinged) ** Bl. 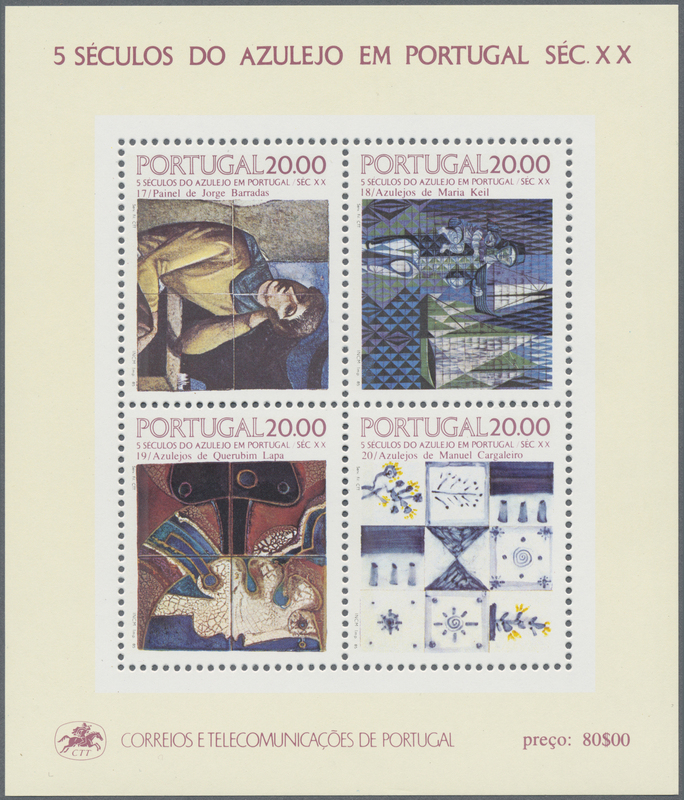 475 I (2000) 2000, Europa, 18000 copies of this issue, all mint never hinged. Michel 45000.- €, former face value 9000 ,- €. 36394 gestempelt (marked) ungebraucht (hinged) * 1968/1879, small lot of twelve classic issues including no. 1, 3, 4 and 12 (Munidfil 1,3,4, 13) and five reprints. scarce offer!